Lock in a great price for Wyndham Garden Mexico Reforma – rated 8.7 by recent guests! The staff was ok and trying to manage the hotel. Good restaurants in vicinity. Clean, friendly reception, housekeeping staff did good job, bed comfortable balcony pleasant for eating breakfast, security good, 1/2 block from a main street of restaurants, bars, snack places. Easy walk to Paseo Reforma, two major hotels, Sanborns (sort of a small department store). I'd return. Reception was helpful with directions and making airport taxi arrangements for return to the airport. Pleasant entrance, inside and outside. Bed was very comfortable. Staff was polite. Rooms were clean. The refrigerator was a plus as we bought water and sodas from a supermarket a block away . A lot of restaurants close by. There are banks with ATM's close by. Area felt very safe . Every time we called Uber they were there within 5 minutes. Also there is plenty of storage place in the room. The WiFi was very good. There is a terrace upstairs where you can have coffee in the morning. Staff let me change from a single room to a kingsize with no extra cost since it was available. Very good and safe location, nearby Av. 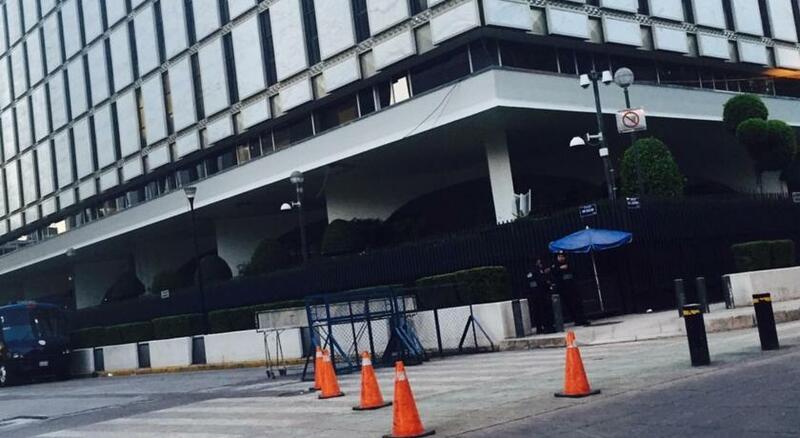 Reforma, embassies, Chapultepec Park. Fast Internet. Breakfast simple but correct - fruits juice, fruits, coffee/tea, eggs, sandwiches and pastries (old, not fresh pastries). Very helpful reception staff, Mariana especially who guided us for our tours on our own, with public transport. Gracias por su amabilidad, Mariana! This is the 4th or 5th time I have stayed here and always a good experience. I will come back again. The accommodation was is in an excellent location, close to everything!! The bed was so big & comfortable!! The staff were lovely & helpful!! Would definitely recommend staying here!! The staff were helpful and efficient, there was a kitchenette, the bed was comfortable. The bed was very comfortable and perfectly situated next to a mini balcony. I really liked the stocked kitchen and bathroom. It would be easy for me to live in this hotel for an extended period of time. It's on a quiet street with some great restaurants nearby. Reforma is literally like 3 blocks away; which is amazing. Wyndham Garden Mexico Reforma This rating is a reflection of how the property compares to the industry standard when it comes to price, facilities and services available. It's based on a self-evaluation by the property. Use this rating to help choose your stay! Located in Mexico City’s trendy Cuauhtemoc neighborhood, just 350 feet from Reforma Avenue, Wyndham Garden Residences offers a gym, business center and shared roof-top lounge. The spacious suites at this property are air-conditioned and feature modern décor. They come equipped with a cable TV, a kitchenette and a seating area. Some may have a balcony overlooking the street. Supermarkets can be found within a 10-minute walk, and the area offers a wide range of restaurants and bars, many serving national cuisine. The Reforma 222 Shopping Center is just 1.2 mi away. 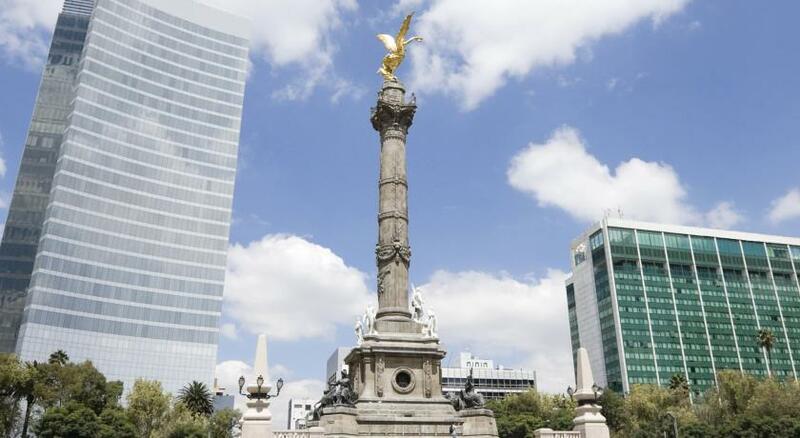 The city’s iconic Angel de la Independencia monument can be reached in a 5-minute walk, while the Historic Center is just a 10-minute drive away. Benito Juarez International Airport is a 25-minute drive from Wyndham Garden Residences. When would you like to stay at Wyndham Garden Mexico Reforma? This beautiful, air-conditioned suite features a seating area with a flat-screen TV. It also has a kitchenette and a desk. Public parking is available at a location nearby (reservation is needed) and costs MXN 157.58 per day. This beautiful, air-conditioned suite features a seating area with a flat-screen TV. It also has a kitchenette and a desk. Some units might feature a balcony. This smaller, air-conditioned suite features a seating area with a flat-screen TV. It also has a kitchenette and a desk. House Rules Wyndham Garden Mexico Reforma takes special requests – add in the next step! Wyndham Garden Mexico Reforma accepts these cards and reserves the right to temporarily hold an amount prior to arrival. Please note that booking 5 or more rooms will be considered as a group and different policies will apply. The price was a bit high in my opinion. Our room was lacking light. With window opened, it smelled like food all the time, not only in the mornings... We stayed at the 4th floor, where breakfast was served. It's apartment converted to hotel. All looked very old and very depressing. Hotel gate is so small.not easy to find out. Nothing, we had an excellent time!! I didn't like the breakfast options or the breakfast times, but that's just me. In my room there was a door to the outside that was locked and couldn't be opened. The heater/air conditioner didn't work. The tv couldn't be hooked up to my devices as it wasn't stable. It's also a bit expensive. The lighting in bathroom terrible. This is basic 101 hotel room design and should not happening still. Location good and staff friendly. Will return. Complimentary breakfast was very small and things they have on the menu weren't very good, it's better to have breakfast in one of the cafes nearby. Great things about the hotel: incredibly comfortable bed, location, cozy room. Great water pressure at the shower. no knowledge from staff and terrible noise fro hotel own facilities very early in the morning.